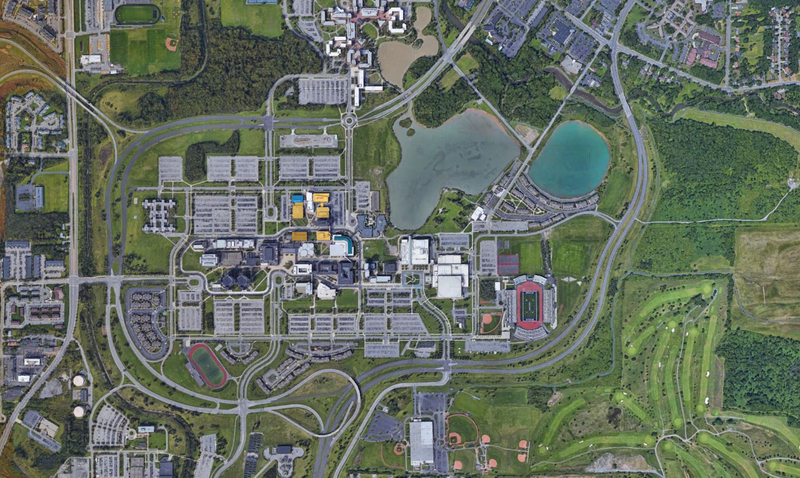 Originally established as part of the Engineering and Applied Sciences Faculty Subgroup, a complex of five buildings at the University of Buffalo, the Proposed Campus Plan at the UB North Campus was developed in 1977. Buildings were erected during the period 1973 to 1981 following a gridded plan that interconnected pedestrian walkways with large parking areas ringing the campus. Several buildings were linked together by elevated enclosed walkways to lend a degree of protection from the harsh Buffalo winters. 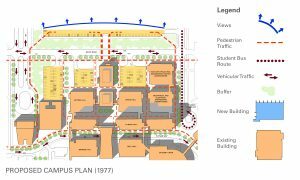 Campus bus transport was also a primary consideration, connecting the central academic facilities with the residence halls located away from the campus. 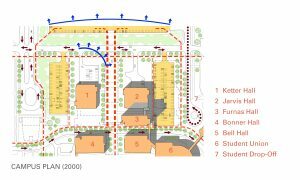 The buildings constructed during this period range from two to ten stories in height. 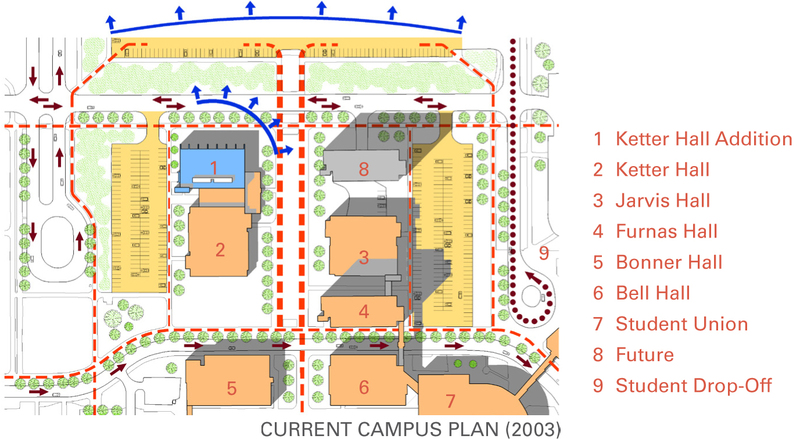 By the year 2000 another period of growth at this area of the campus was anticipated to support an increase in the university’s engineering programs. 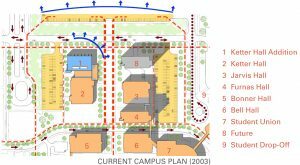 Planning for Ketter Hall and a future engineering lab building were looked at as possible additions and/or standalone structures, depending on the massing of the buildings and their impact on the gridded plan of this section of the campus. 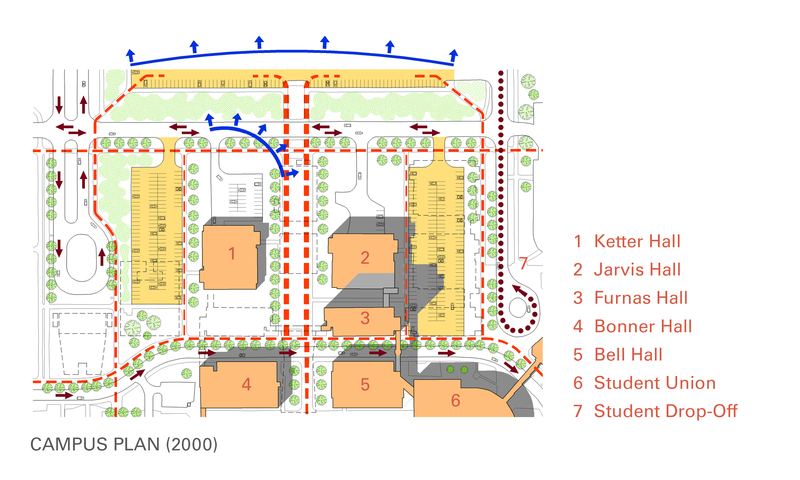 Ultimately, Ketter Hall became an addition to the original building because of required program relationships with the existing building.